This supermarket has a wide selection of products and is located on the coast road to Cagliari. It is therefore suitable for shopping on arrival, or for guests in Torre delle Stelle. 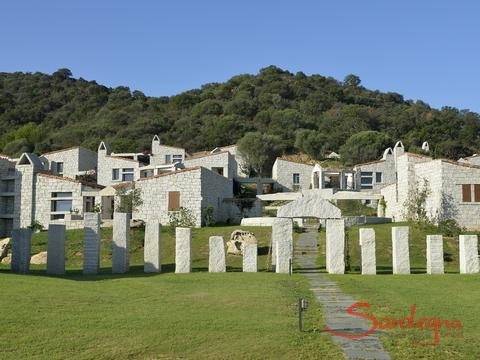 Only 2 km from the beautiful sandy beach of Cala Sinzias, the newly built residence of Li Conchi sets architectural standards - an artful blend of granite, which combines the traditional Sardinian design with luxurious ambience of a modern resort. Harmoniously integrated into the evergreen hills of the southeast, the villas of Li Conchi are grouped around a large pool with separate children's area – just a few steps from the house you can jump into the cool water of exclusive use for Li Conchi guests. Villa Li Conchi 24 consists of two separate parts, a day and a night area, which are connected by a spacious, partially covered patio. Equipped with a large dining table and comfortable sun beds, the patio becomes the heart of the villa: a fascinating, open space with breathtaking views of the sea. The artful design guarantees privacy and completely undisturbed moments with your family at any time. A big, bright living room with sofa, dining table and attached kitchen forms the living area of Li Conchi 24. The floor to ceiling window offers stunning views over the sea and coast. The modern décor and furniture is dominated by bright colors and natural materials. The kitchen is well equipped with dishwasher, oven and large fridge. There is also a washing machine. The sleeping area of Li Conchi 24 includes two bedrooms for a total of four people and two modern shower rooms. One bedroom with double bed has its en suite bathroom, the second bedroom has two single beds. Air conditioning in all bedrooms and in the living room guarantee the right temperature at all times - also in the low season, when the devices can be used as heaters. In less than 5 minutes by car you reach the beach of Cala Sinzias, a so far nearly undiscovered gem of fine white sand. 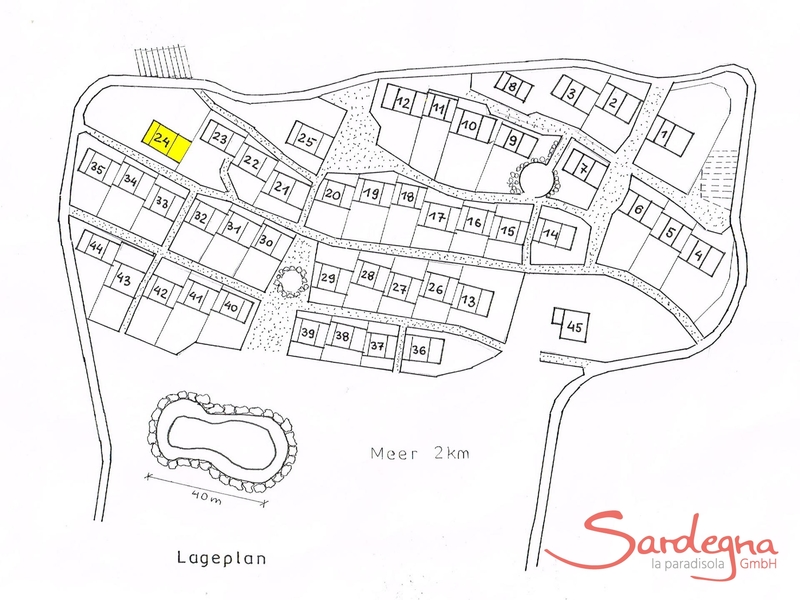 Close to the beach on-site parking is possiblei.Many more fantastic beaches can be reached driving along the coast. An agriturismo is in walking distance. In 15 driving minutes you will find more restaurants, supermarkets, the fabulous beach of Costa Rei, and the former fishing village of Villasimus with cafés, bars, restaurants and shops that are open all year round. Whereas in the pristine mountains of Sarrabus solitude and tranquility are guaranteed - the nature reserve of the "Monti dei Sette Fratelli" is directly adjacent to the complex of Li Conchi. Li Conchi - Modern Holiday Villas with Sardinian TraditionOnly 2 km from the beautiful sandy beach of Cala Sinzias, the newly built residence of Li Conchi sets architectural standards - an artful blend of granite, which combines the traditional Sardinian design with luxurious ambience of a modern resort. Harmoniously integrated into the evergreen hills of the southeast, the villas of Li Conchi are grouped around a large pool with separate children's area – just a few steps from the house you can jump into the cool water of exclusive use for Li Conchi guests.Li Conchi 24 - Terrace in the Heart, Eyes on the SeaVilla Li Conchi 24 consists of two separate parts, a day and a night area, which are connected by a spacious, partially covered patio. Equipped with a large dining table and comfortable sun beds, the patio becomes the heart of the villa: a fascinating, open space with breathtaking views of the sea. The artful design guarantees privacy and completely undisturbed moments with your family at any time.A big, bright living room with sofa, dining table and attached kitchen forms the living area of Li Conchi 24. The floor to ceiling window offers stunning views over the sea and coast. The modern décor and furniture is dominated by bright colors and natural materials. The kitchen is well equipped with dishwasher, oven and large fridge. There is also a washing machine.The sleeping area of Li Conchi 24 includes two bedrooms for a total of four people and two modern shower rooms. 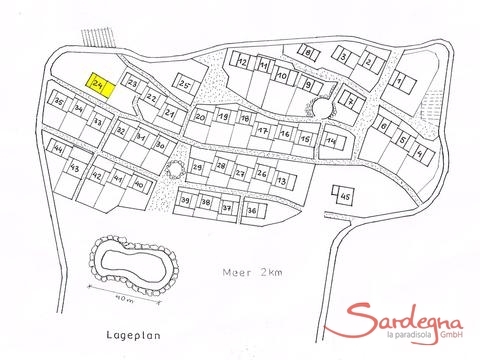 One bedroom with double bed has its en suite bathroom, the second bedroom has two single beds. Air conditioning in all bedrooms and in the living room guarantee the right temperature at all times - also in the low season, when the devices can be used as heaters.Close byIn less than 5 minutes by car you reach the beach of Cala Sinzias, a so far nearly undiscovered gem of fine white sand. Close to the beach on-site parking is possiblei.Many more fantastic beaches can be reached driving along the coast.An agriturismo is in walking distance. In 15 driving minutes you will find more restaurants, supermarkets, the fabulous beach of Costa Rei, and the former fishing village of Villasimus with cafés, bars, restaurants and shops that are open all year round. Whereas in the pristine mountains of Sarrabus solitude and tranquility are guaranteed - the nature reserve of the "Monti dei Sette Fratelli" is directly adjacent to the complex of Li Conchi. Li Conchi 34 - fascinating architecture of gray granite. Experience the sunrise and the magnificent sea views from your spacious terrace and enjoy the fantastic pool of the complex. Cala Sinzias is just 2km away, it is one of Europe's most beautiful beaches. Li Conchi 33 - a gem made of Sardinian granite. Enjoy the spacious pool in the complex and the beautiful sea views from your beautifully furnished terrace. Your holiday home is just 2 km away from one of Europe's finest beaches. Li Conchi 35 - fascinating architecture of gray granite in the second row to the spacious pool of the holiday complex. Be captivated by the contemplation of your perfectly equipped holiday home transmitting peace and with its breathtaking sea views. Europe’s most beautiful beaches in Europe are just so close. 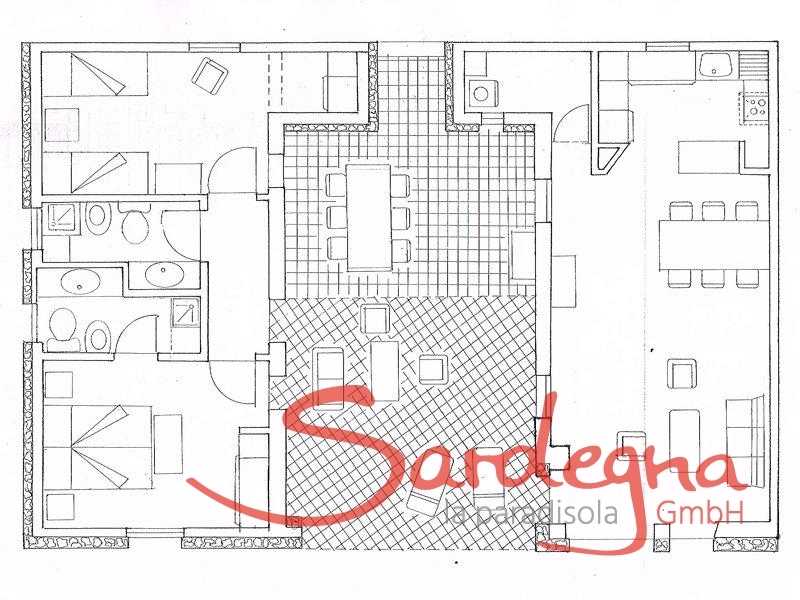 Li Conchi 32 - noble living in Sardinian granite. From your terrace enjoy the sea view and the short walk to the beautiful pool. The magnificent beaches of Costa Rei are within a few minutes' drive by car. Li Conchi 31 - fascinating architecture of gray granite and just a few steps from the large pool. From your spacious patio-terrace you have a magnificent sea view, of course: you are only 2km away from one of Europe's finest beaches, Cala Sinzias. Li Conchi 1 - this dream of granite is enthroned on top of the hill. On your private terrace, you will enjoy the wonderful view of the entire complex and the bay of Cala Sinzias. Li Conchi 14 - a house with lots of privacy. A fascinating architecture of gray granite, a large pool, and from your patio terrace you can enjoy the magnificent sea views. The beautiful beaches of Costa Rei are only 2 km away. Li Conchi 16 - enjoy on your patio-terrace with stunning views of the bay of Cala Sinzias. Nestled in the spacious garden you can sit on your patio terrace, in the heart of the house, wonderfully protected thanks to the clever architectonical arrangement. The most beautiful beaches of Costa Rei are within easy reach. Your holiday dream in the first row to the beautiful shared swimming pool, yet far enough away to enjoy the quiet. Relax with a lot of privacy in beautifully landscaped gardens with sea views over the only 2km distant, marvelous bay of Cala Sinzias. Li Conchi 2 is a modern holiday villa in the Li Conchi complex - harmoniously nestled in the hills and evergreen forests. 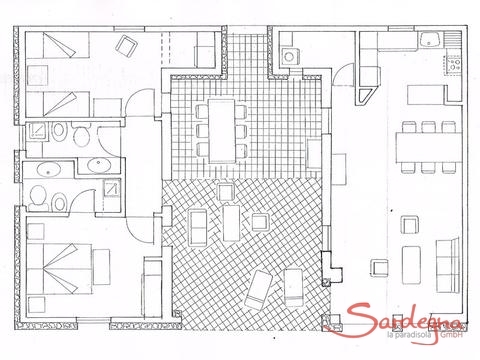 It boasts high-quality architecture and interior design by Laura Sonzogni. Perfect for families: the large pool has a kids' area and is only 2 km to the stunning Cala Sinzias beach. Book and enjoy! Li Conchi 7 - this dream of granite is enthroned on top of the hill. On your private terrace, you will enjoy the wonderful view of the entire complex and the bay of Cala Sinzias. Li Conchi 9 - this dream of granite is enthroned on top of the hill. On your private terrace, you will enjoy the wonderful view of the entire complex and the bay of Cala Sinzias. Li Conchi 10 - this dream of granite is enthroned on top of the hill. On your private terrace, you will enjoy the wonderful view of the entire complex and the bay of Cala Sinzias. Li Conchi 26- this dream of granite is enthroned on top of the hill. On your private terrace, you will enjoy the wonderful view of the entire complex and the bay of Cala Sinzias. Li Conchi 27- this dream of granite is enthroned on top of the hill. On your private terrace, you will enjoy the wonderful view of the entire complex and the bay of Cala Sinzias. Li Conchi 28- this dream of granite is enthroned on top of the hill. On your private terrace, you will enjoy the wonderful view of the entire complex and the bay of Cala Sinzias. Li Conchi 44 - this dream of granite is enthroned on top of the hill. On your private terrace, you will enjoy the wonderful view of the entire complex and the bay of Cala Sinzias. Li Conchi 42 - this dream of granite is enthroned on top of the hill. On your private terrace, you will enjoy the wonderful view of the entire complex and the bay of Cala Sinzias. Li Conchi 17 - this dream of granite is enthroned on top of the hill. On your private terrace, you will enjoy the wonderful view of the entire complex and the bay of Cala Sinzias. Li Conchi 4 - this dream of granite is enthroned on top of the hill. On your private terrace, you will enjoy the wonderful view of the entire complex and the bay of Cala Sinzias. Li Conchi 5 - this dream of granite is enthroned on top of the hill. On your private terrace, you will enjoy the wonderful view of the entire complex and the bay of Cala Sinzias. Li Conchi 20 - this dream of granite is enthroned on top of the hill. On your private terrace, you will enjoy the wonderful view of the entire complex and the bay of Cala Sinzias. Li Conchi 36 - this dream of granite is enthroned on top of the hill. On your private terrace, you will enjoy the wonderful view of the entire complex and the bay of Cala Sinzias. Li Conchi 37 - this dream of granite is enthroned on top of the hill. On your private terrace, you will enjoy the wonderful view of the entire complex and the bay of Cala Sinzias. Li Conchi 15 - this dream of granite is enthroned on top of the hill. On your private terrace, you will enjoy the wonderful view of the entire complex and the bay of Cala Sinzias. Li Conchi 21 - fascinating architecture of gray granite. A short walk over the stone steps and you are on the spacious pool. Or enjoy the fantastic sea views from your patio terrace. The most beautiful beaches of Costa Rei are only 2 km away. Li Conchi 30 - fascinating architecture of gray granite in the second row to the spacious pool. Start your day with breakfast on the spacious patio, enjoying the magnificent sea views of the only 2 km away Cala Sinzias and Costa Rei. Li Conchi 25 - a detached house of archaic beauty without adjacent neighbours and with magnificent views. Lying at your feet: the bay of Cala Sinzias, only 2km away. 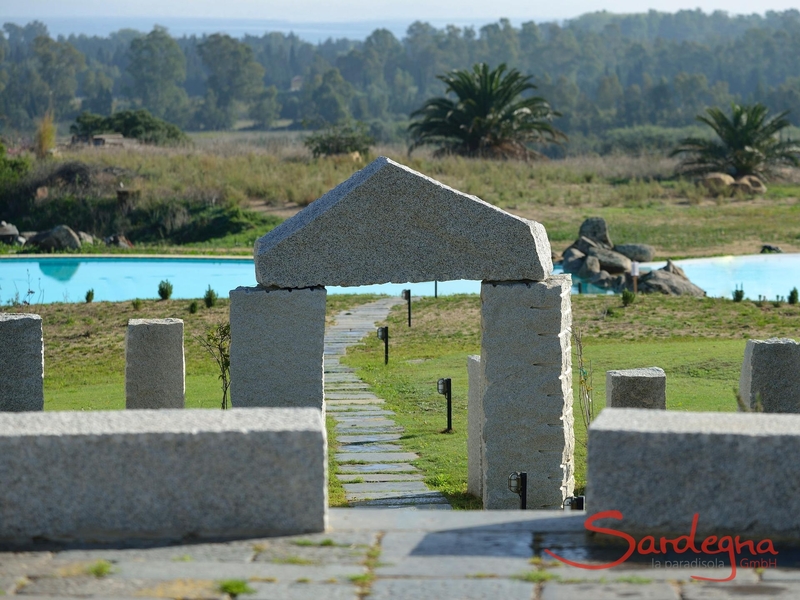 Li Conchi 29 - a dream made of Sardinian stone in the second row to the spacious pool. Enjoy your lovely patio terrace with magnificent sea views over the Cala Sinzias, which is only 2km away. The other wonderful beaches of Costa Rei are just a short drive away. Li Conchi 6 - a wonderful holiday destination for you to relax. The spacious pool is at your feet and you will enjoy panoramic sea views from your terrace. Li Conchi 11 - a splendid house of archaic beauty with a generous room layout, situated on the very top of the complex and still near the magnificent pool as well as the most beautiful beaches in Europe. The beautiful beach of Cala Sinzias is only 2 km away! Li Conchi 13 - a splendid house of archaic beauty with a generous room layout, situated on the very top of the complex and still near the magnificent pool as well as the most beautiful beaches in Europe. The beautiful beach of Cala Sinzias is only 2 km away! Award-winning architecture designed by Laura and Vito Sonzogni. Look forward to a truly unforgettable holiday experience in Li Conchi 8 - a very spacious house. Enjoy the privacy and the fantastic view over the resort and the only 2km away splendid Cala Sinzias. Campidano Otto is an architecturally exceptional villa with a private pool near Villasimius, one of the most beautiful places in southern Sardinia. The unique luxury: just a short walk separates the villa from the Cala Sinzias beach and its crystal clear water. Treat yourself to something extraordinary - book now! Campidano Sette is an architecturally exceptional villa with a private pool near Villasimius, one of the most beautiful places in southern Sardinia. The unique luxury: just a short walk separates the villa from the Cala Sinzias beach and its crystal clear water. Treat yourself to something extraordinary - book now! 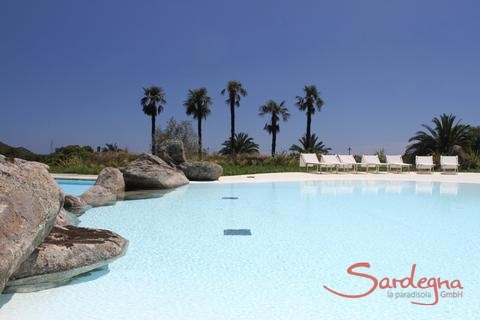 Campidano Venti is just 500 meters from the sandy Cala Sinzias bay beach and its crystal-clear waters. This architecturally exceptional villa has a courtyard in an old Sardinian style and a private pool. Treat yourself to something special - book now! Campidano Ventuno is an architecturally exceptional villa with a private pool near Villasimius, one of the most beautiful places in southern Sardinia. The unique luxury: just a short walk separates the villa from the Cala Sinzias beach and its crystal clear water. Treat yourself to something extraordinary - book now! Casa Rocca Sant'Elmo Mare 2 is located in the first row of Villaggio Rocca Sant'Elmo. The garden ends nearly at the sandy beach and is only a short walk from the water through the macchia. Experience authentic Sardinia now! Casa Rocca Sant'Elmo Mare 1 is located in the first row of Villaggio Rocca Sant'Elmo. The garden ends nearly at the sandy beach and is only a short walk from the water through the macchia. 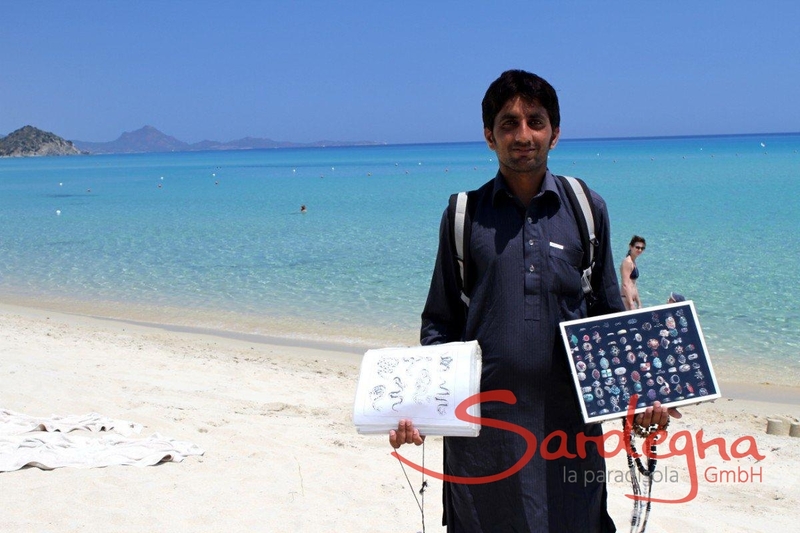 Experience authentic Sardinia now! Casa Rocca Sant'Elmo 17 is located in the second row in Villaggio Rocca Sant'Elmo. Orange trees bloom in the garden, and a few steps along a short path through the macchia lead to the glorious fine-grained beach. The view of the blue sea from the terrace and inside the house is nothing short of incredible. Experience authentic Sardinia now! Casa Rocca Sant'Elmo 24 has ancient beauty; it's an architectural dream made of Sardinian granite rock. It towers over the sea in the Villaggio Rocca Sant'Elmo, and its sea view is overwhelming. The idyllic beach of fine sand is only a few steps and a short walk through the scrub. 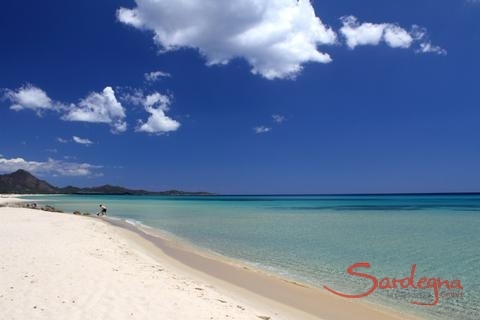 Experience Sardinia now. Casa Rocca Sant'Elmo 23 is located at the top of Villaggio Rocca Sant'Elmo. A granite staircase leads from the garden to a sheltered terrace. A few steps along a short path through the macchia lead to the glorious fine-grained beach. The view of the blue sea from the terrace and inside the house is nothing short of incredible. 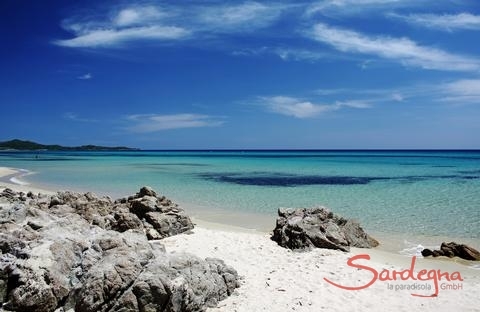 Experience authentic Sardinia now! Casa Rocca Sant'Elmo 15 is located in the second row in Villaggio Rocca Sant'Elmo. Orange trees bloom in the garden, and a few steps along a short path through the macchia lead to the glorious fine-grained beach. The view of the blue sea from the terrace and inside the house is nothing short of incredible. Experience authentic Sardinia now! Casa Rocca Sant'Elmo 14 is located in the second row in Villaggio Rocca Sant'Elmo. Orange trees bloom in the garden, and a few steps along a short path through the macchia lead to the glorious fine-grained beach. The view of the blue sea from the terrace and inside the house is nothing short of incredible. 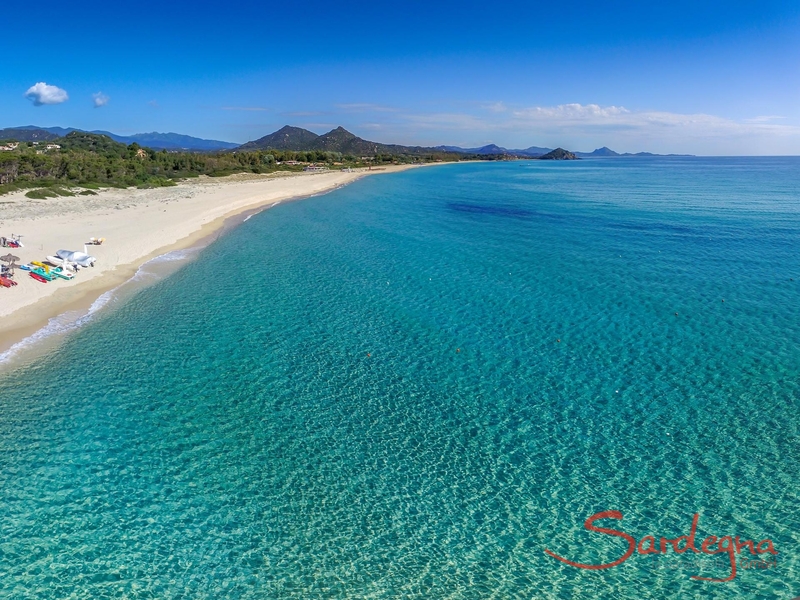 Experience authentic Sardinia now! Casa Rocca Sant'Elmo 20 is located on a hillside in the third row in Villaggio Rocca Sant'Elmo. A few steps along a short path through the macchia lead to a glorious fine-grained beach. The view of the blue sea from the terrace and inside the house is nothing short of incredible. Experience authentic Sardinia now! Casa Grecino is a stunning stone house right on Sant'Elmo beach. Let its unique atmosphere impress you: a flour mill and a fountain are in the idyllic garden, and the terrace sweetens the evenings with an unforgettable sea view. Plan and exhale now! Casa Rocca Sant'Elmo 13 is located in the second row in Villaggio Rocca Sant'Elmo. Orange trees bloom in the garden, and a few steps along a short path through the macchia lead to the glorious fine-grained beach. The view of the blue sea from the terrace and inside the house is nothing short of incredible. Experience authentic Sardinia now! Casa Rocca Sant'Elmo 8 is located in the first row in Villaggio Rocca Sant'Elmo. The garden ends nearly at the sandy beach, and it is only a short walk from the water through the macchia. Experience authentic Sardinia now! Casa Rocca Sant'Elmo 5 is located in the first row in Villaggio Rocca Sant'Elmo. The garden ends nearly at the sandy beach, and it is only a short walk from the water through the macchia. Experience authentic Sardinia now! Casa Rocca Sant'Elmo 1 is located on the beachfront, surrounded by fragrant flowers and wild scrub. A small path leads from the granite stone house to the picturesque Sant'Elmo bay. 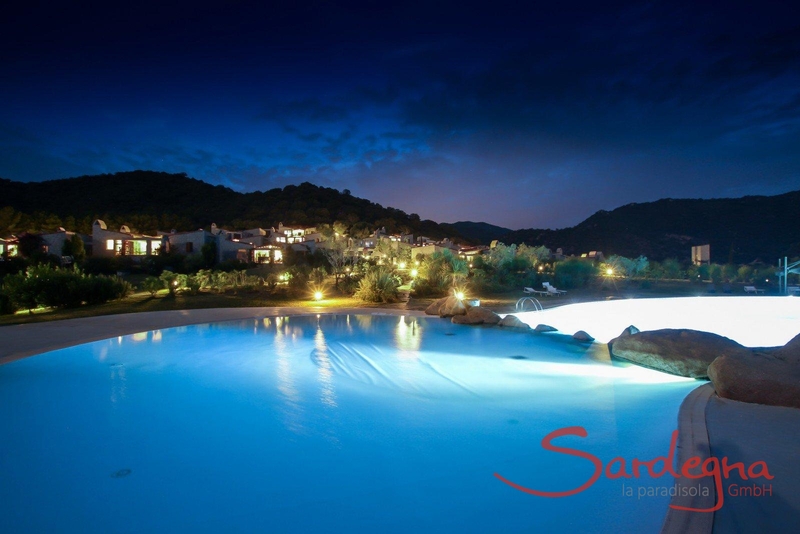 Experience Sardinia with all your senses! Casa Rocca Sant'Elmo 2 is located in the first row in Villaggio Rocca Sant'Elmo. The garden ends nearly at the sandy beach, and it is only a short walk from the water through the macchia. Experience authentic Sardinia now! Casa Rocca Sant'Elmo 3 is located in the first row in Villaggio Rocca Sant'Elmo. The garden ends nearly at the sandy beach, and it is only a short walk from the water through the macchia. 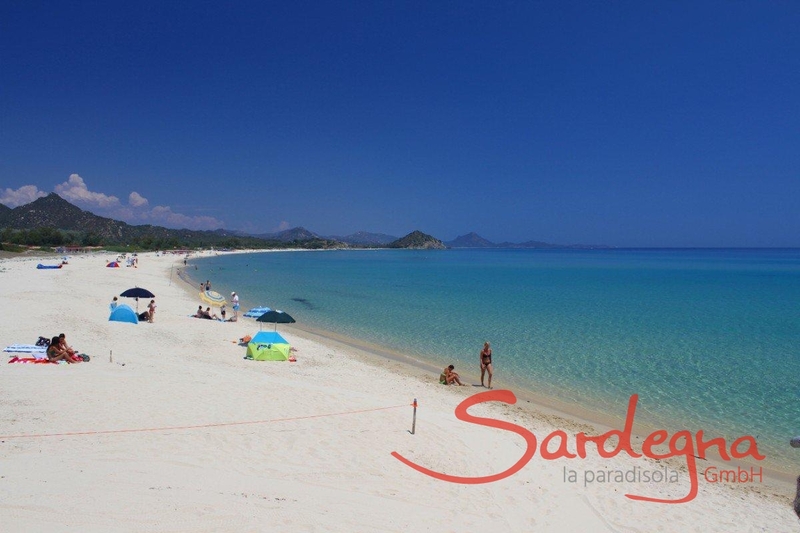 Experience authentic Sardinia now!